The University of Pennsylvania’s Center for the Study of Ethnicity, Race, and Immigration received a research fund to support further undergraduate research at Penn. 1982 College graduate Suzanne Turner and her husband 1982 College and 1985 Penn Law graduate David E. Schulman created the Turner Schulman Endowed Research Fund to promote research done by students. “I’m from a long-term Penn family. My daughter just graduated and she is a fourth-generation Penn student,” Turner added. The Center, which is the first of its kind here at Penn, addresses the intersection between race, ethnicity, and immigration. Created last year, the Center will support research at Penn and is housed in the new Perelman Center for Political Science and Economics. “This is a brand new initiative for Penn and for the School of Arts and Sciences,” said Michael Jones-Correa, who is the founder and director of the Center and one of Penn’s President’s Distinguished Professor of Political Science. Jones-Correa is entering his third year at Penn, as the Center he formed is entering its second. “The idea was to organize something that served as a bridge across the social sciences,” Jones-Correa said. The Center hosts Post-Doctoral Fellows yearly. Roberto F. Carlos is the Center’s second and current fellow. Carlos’s research, which focuses on the role children play in shaping their parent’s politics, is supported by the Center. Because of its focus on the intersection between race, ethnicity, and immigration, the Center has tapped into many departments in the College of Arts and Sciences, including the Africana Studies department. The Center supports workshops that these affiliates hold. “[The Center] basically covers one of the most important intersecting phenomena of our kind about race, ethnicity, and citizenship,” said Michael Hanchard, a professor of Africana Studies and one of the Center’s affiliates. Applications to receive a research grant from the Center for both undergraduates and graduates opened this past Tuesday, and with a new fund, the research opportunities are not limited. Graduate student Kimberly Cardenas is interested in applying for a research grant from the Center. Cardenas studies Latino Politics, specifically with respect to issues of gender and sexuality, by considering the ways Latinos within the LGBT community are politically active and applying that to their identity in American politics. “It’ll be an amazing opportunity to apply for funding from them and get funds to do field work such as traveling to collect data, interviewing folks, and going to archives,” Cardenas said. “I think right now we’re seeing a lot of public discussion on race, given President Trump and the rise of similar presidents in other countries in Latin America, [and] I think these discussions are gonna be really important in the next coming years, as well as given that the country is changing demographically,” Cardenas added. “I think the center will really serve to complement the student body and open doors for research opportunities for undergrads,” Cardenas concluded. David E. Schulman (C’82, L’85) and Suzanne E. Turner (C’82), Penn parents, have made a gift to create the Turner Schulman Endowed Research Fund in support of the Center for the Study of Ethnicity, Race and Immigration (CSERI). CSERI is led by Michael Jones-Correa, President’s Distinguished Professor of Political Science. CSERI, based in the School of Arts and Sciences, is a first-of-its-kind research center, focusing on the intersecting narratives of ethnicity, race and immigration in US life and supporting research at the faculty, graduate and undergraduate levels. 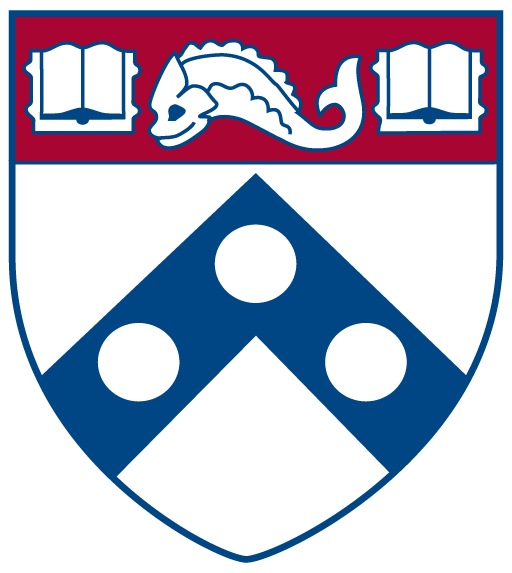 Support for CSERI is a key priority in the School’s Power of Penn Arts & Sciences campaign. Ms. Turner and Mr. Schulman are partners at Dechert in Washington, DC, where Ms. Turner is chair of the firm’s pro-bono practice. Ms. Turner and Mr. Schulman previously created the Turner Schulman Scholarship for undergraduates in the College of Arts and Sciences, with a preference for students who have demonstrated a strong interest in public service, and the Turner Schulman Internship, which provides financial support for college students interning with human rights organizations.